Social media has evolved into such an important means of communication and sharing that computer operating systems are now incorporating access to the most popular platforms into both the desktop and mobile versions of their systems. 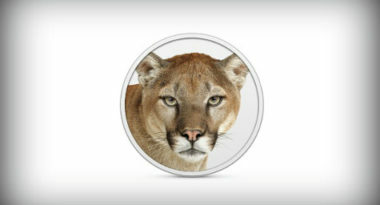 The most recent integration involves Apple’s integration of Facebook into its latest update to OS X Mountain Lion. Users will now be able to directly sign in to their Facebook accounts and enjoy numerous new apps. This follows the company’s incorporation of Twitter to Mountain Lion back in July. At that time, TUAW.com highlighted how Apple had made it fast and easy for users to set up cloud services in OS X and directly log in to their Twitter, Flickr, and Vimeo accounts while gaining access to Apple-created apps. Many anticipated that Facebook would also be integrated in the coming months, and now Mashable.com has reported on how this expectation has finally been fulfilled. As with Twitter, Facebook users can now sign in to their accounts by going into their System Preferences. Then, they’ll notice the addition of a Facebook-sharing option to apps like Safari, Contacts, and Preview. Further apps from third-party developers will be available in the future. Users will also discover sharing in the Notification Center that makes it easy to directly view and post updates to their Facebook accounts. The operating system’s Game Center also enables users to compete in games with their Facebook friends. In addition, the new update enhances communication with iPhones by ensuring that texts from other OS X and iOS users, as well as FaceTime video calls, appear right on the Mac screen. It also provides access to many enhanced features, such as improved sorting in Notes, shared reminders with fellow Apple users, and new languages in Dictation. With the integration of Twitter and Facebook, Apple is reaffirming the strength of social media and demonstrating its evolution into an essential part of our daily lives. To incorporate Facebook and Twitter into your social media marketing strategy, contact MDG Advertising today at 561-338-7797 or visit mdgadvertising.com. MDG Advertising, a full-service Florida advertising firm with offices in Boca Raton and New York, NY, specializes in developing targeted Internet marketing solutions, exceptional creative executions and solid branding and media buying strategies that give clients a competitive advantage. Our core capabilities include branding, logo design, creative, digital marketing, print advertising, media planning and buying, TV and radio, website design and development, email marketing, social media marketing, and SEO.